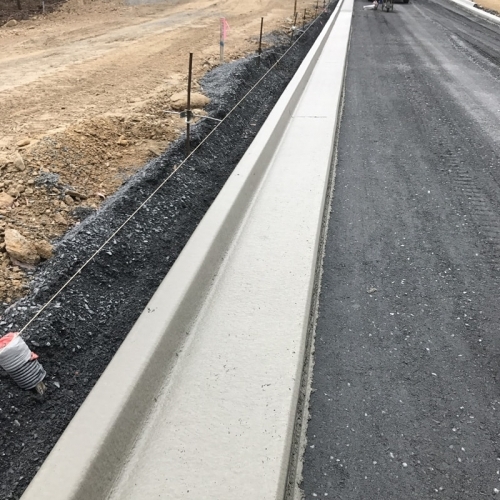 Slipform kerbing is built for durability. 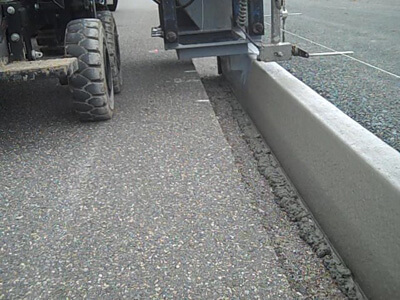 It is the answer to structural quality and has become the preferred method for kerb placement for an ever-increasing number of Councils and private sector companies. 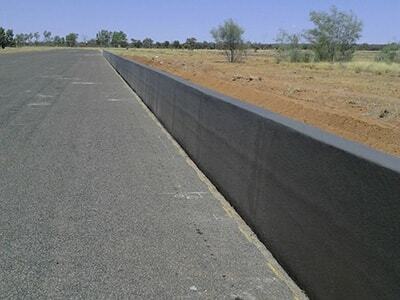 Kelcrete have been building Slipform Barrier Wall since 1993. 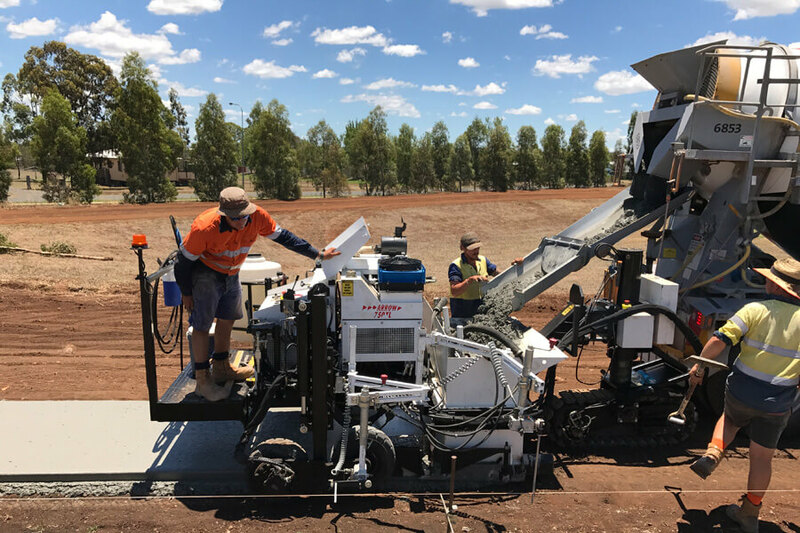 Kelcrete has the experience, combined with the latest slipform equipment to handle any application required. 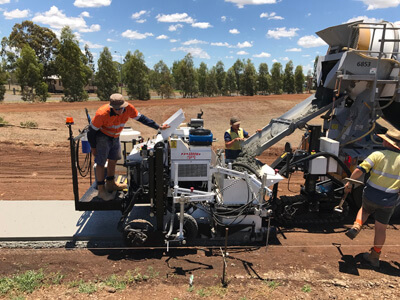 Kelcrete has the equipment and knowledge to slipform paths from 1 metre to 3.5 metres wide. 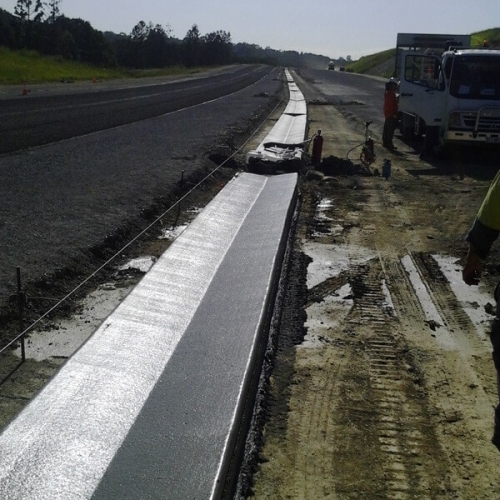 The benefits of slipform machine laid concrete pathway are strength, durability, labour saving and time saving. 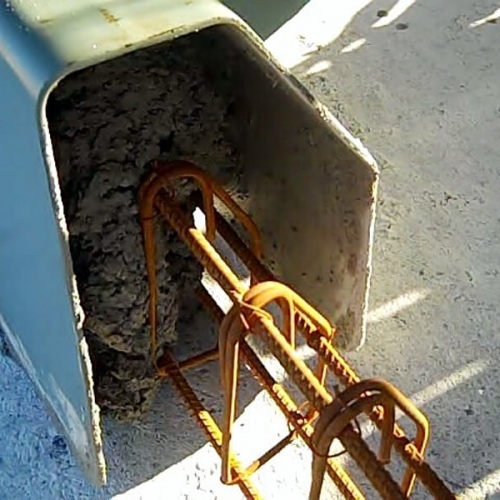 Kelcrete has the equipment and knowledge to slipform concrete drains of various shapes and size and can be placed against other objects. Our values and business principles are embedded in our company culture of strong work ethic, pride in workmanship, honesty, loyalty, and reliability. We believe to be successful in business you must keep investing in your business, through innovation and your employees. The business needs to be able to apply sustainable charge rates. Companies who do not eventually fail. We are selective towards who we work for. We do not entertain contractors who do not operate or hold the same industry values as ourselves. By having this approach we are supporting our clients in their endeavour to make the construction industry a better place to work and thrive for all contractors, subcontractors and employees. We support clients who show loyalty to our business. We return the loyalty to these clients in their endeavours to combat the competitive construction industry with innovation and superior products. We put quality, service and safety ahead of profitability and to ensure good lines of communication with our customers and members of our staff to maintain a safe and contented workplace. 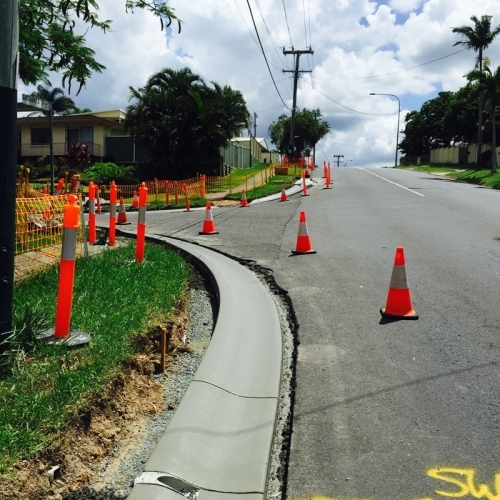 Slipform kerbing is the new way in kerbing. 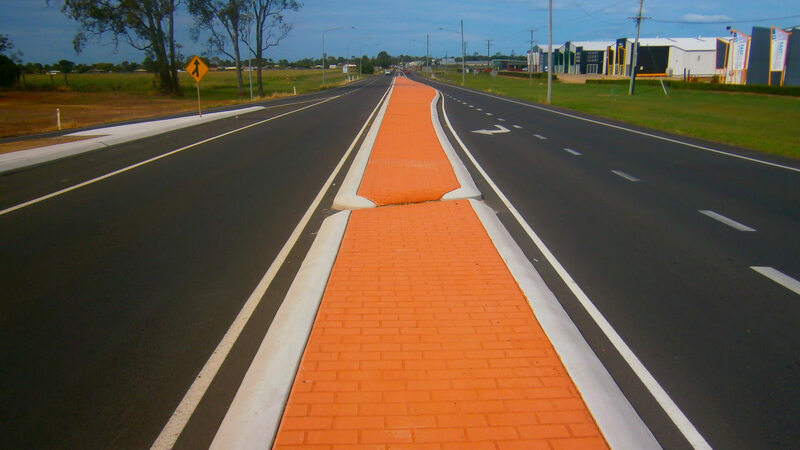 It is structurally far superior in strength and durability than dry extruded methods of kerbing. 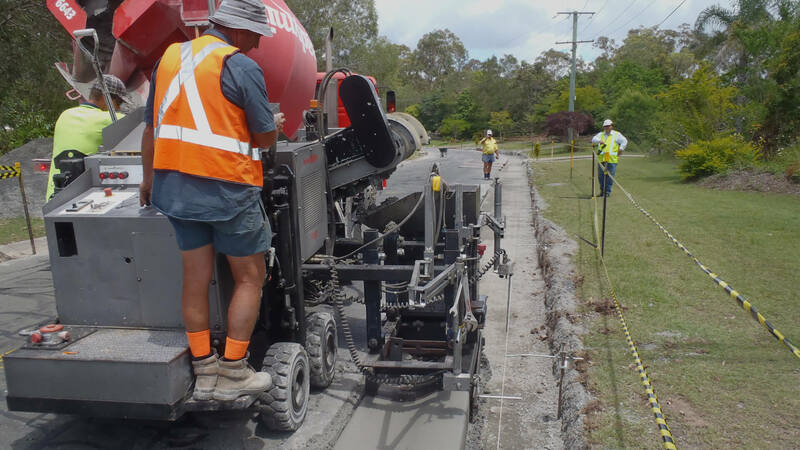 Kelcrete (Qld) Pty Ltd is a proud family owned and operated Slipform Kerbing Company with depots in Brisbane and Gympie. 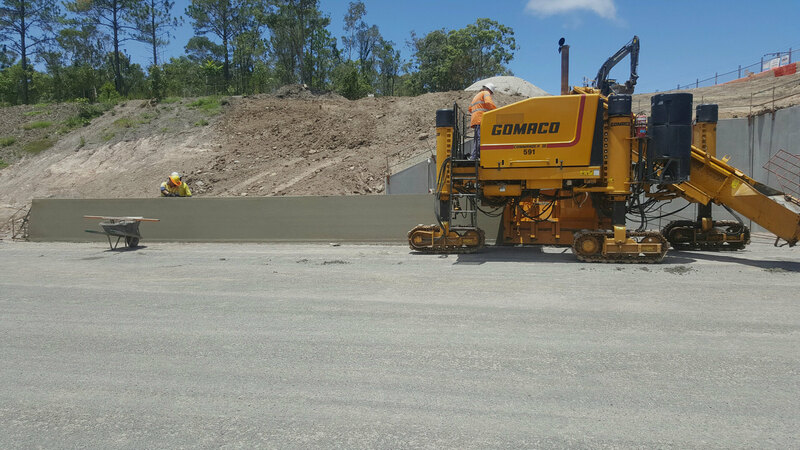 Our main service areas are South East Queensland, Northern New South Wales, with the ability to work outside these areas as required. Kelcrete the company and the Kelly family have been in the kerbing industry since 1973, the reason for our longevity in the industry. We offer a professional innovative service to our clients, with well trained and presented staff. We operate with 21st century equipment, this equipment is kept in a well maintained and presented condition. 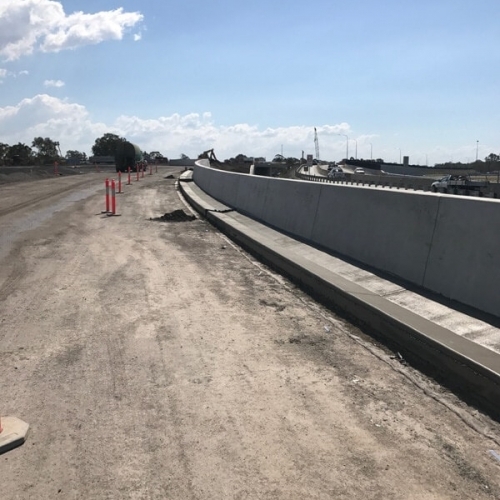 We specialise in the construction of slipform machine laid kerbs, kerb and channel, barrier walls, footpaths, bikeways, dish drains etc. 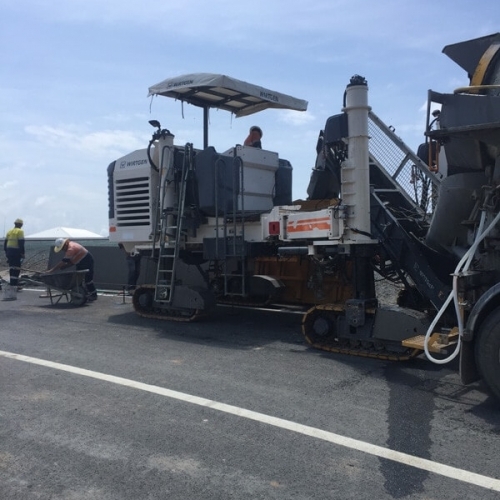 For all enquiries , call Shaun Kelly on 0418 736 792 or email at shaun@kelcrete.com.au. 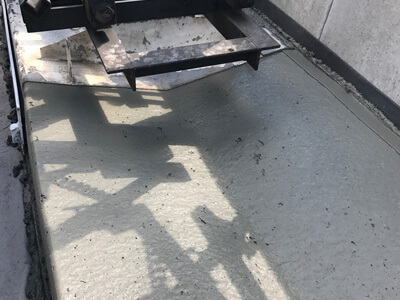 We have been using the dry mix concrete extrusion kerb process for more than fifteen years and were constantly having to repair chips/cracks to the kerb. 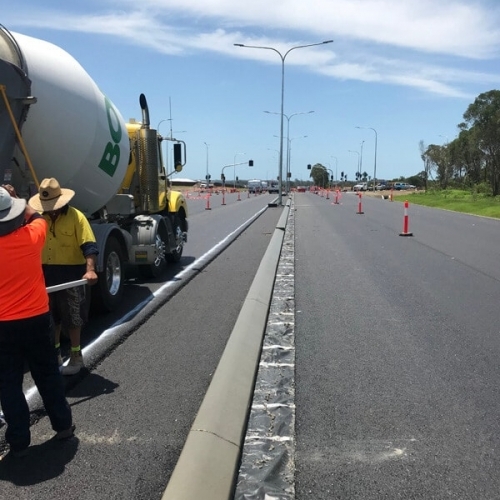 In 2016 we started using Kelcrete (Qld), specialists in the installation of Slipform Kerbing, which has allowed us to reduce construction time. 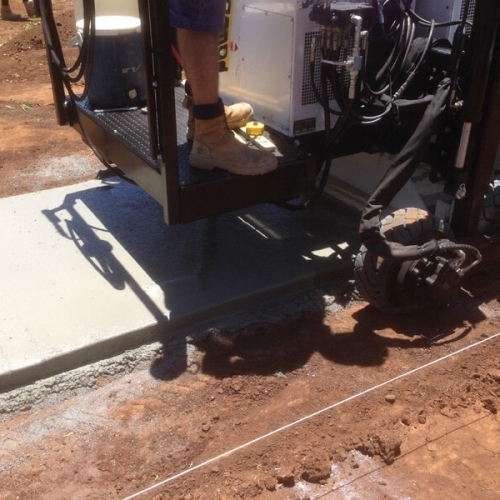 Kelcrete (Qld) provide a fast and efficient service and we have been very happy with the end product.